Please note: Pines Club does not include a TICKET to the show--ticket must be purchased separately. Enjoy conveniently located parking in our exclusive Pines Club lot. Skip the line by entering through an express entrance. Hang out in the exclusive Pines Club hospitality area inside the venue! Grab a drink at our private bar featuring an exclusive selection of local beers and wines, and take advantage of upgraded restroom facilities. Watch the show from our private viewing area. Enjoy delicious complimentary appetizers, and receive one drink ticket per guest, good for any alcoholic or non-alcoholic beverage. Adirondack chairs & picnic tables will be provided for your comfort. Tables and chairs are first come, first serve and are not guaranteed. RESERVED SEATING will be the first 3 rows of Pines Club and you can show up anytime to claim your chair! Seating assignments will be mapped out the day of the show and when you check in you will be given your seat numbers. A dedicated server to take your drink order and bring it to you! 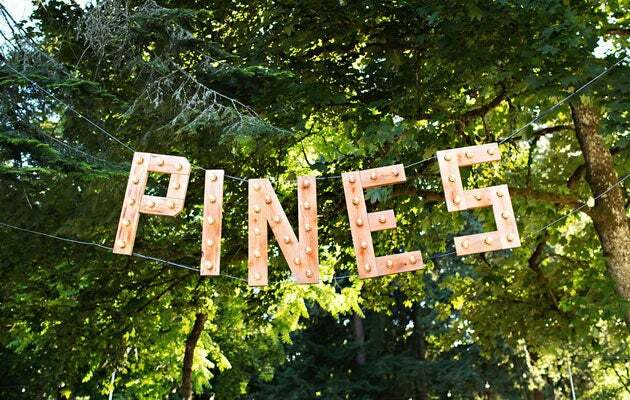 Pines Club upgrade is offered by Marymoor Park Concerts only – this is not in any way related to “VIP” Packages offered by a specific artist or tour. Please be aware that patrons must be 21 years of age or older to enter the Pines Club section – please take note before you purchase your tickets. Pines Club upgrades can be added to any ticket purchase on AXS.com for Marymoor Park Concerts events, subject to availability. Please contact [email protected] with any questions about this special offer. Pines Club Notes Please note that this Program is offered by Marymoor Park Concerts only – this is not in any way related to VIP Packages offered by a specific artist or tour. Artist/Tour VIP packages do not include access to the Pines Club Parking Lot, Express Entrance, or Pines Club hospitality area. If you have purchased an Artist/Tour Package that is offering you those perks – it is completely separate from our own venue program. You must follow those instructions you are provided.